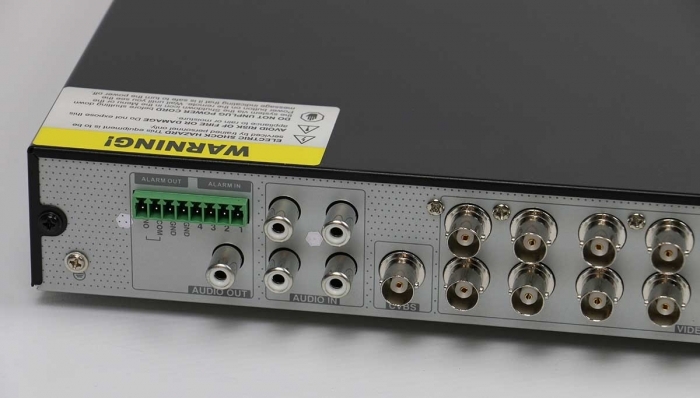 HD-TVI 1080P DVR recorder which is compatible with HD TVI cameras and also standard definition D1 or 960H cameras making it ideal for people with existing cameras who are thinking of upgrading to HD CCTV as well as people planning an HD system from scratch. As with all our DVR recorders we offer full technical support in the event you have any problems setting up or using your system. Remote access using PC, MAC, mobile phones or tablet (Ipad). Free App for mobile devices. A host of features including motion detected recording, email alert, PTZ camera control using RS485, Schedule recording options for normal and motion triggered recording. Remotely accessible menu allows setting changes to be made off site. Secure log in with individual user access control. Back up directly onto computer or via a memory stick. HDMI or VGA monitor output. Output via HDMI or VGA. In addition there is a single camera analogue spot output via BNC. 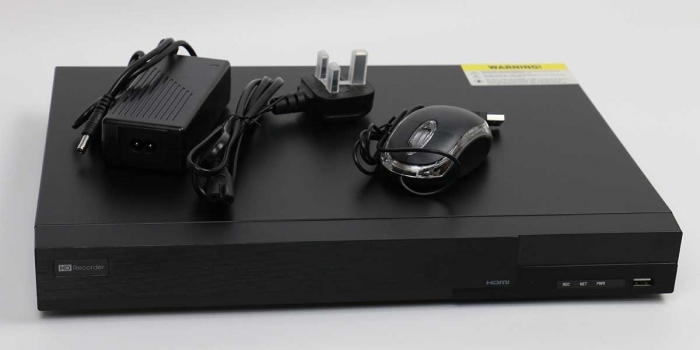 The DVR is supplied with a 12 volt power supply and also a wired mouse to access the on screen menu. Dimensions: Width 380mm, height 50mm, depth 280mm. In addition allow 80-100mm for connections at rear. Do you own this product? Leave a review.